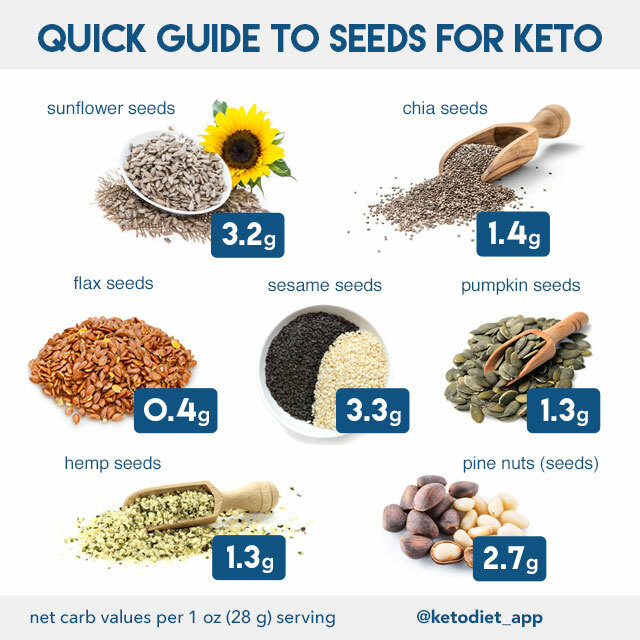 Are Nuts and Seeds Keto-Friendly Foods? As a registered dietitian who follows and recommends a well-balanced, very-low-carb diet, I&apos;ve become concerned about the number of healthy foods being criticized for containing too many carbs. 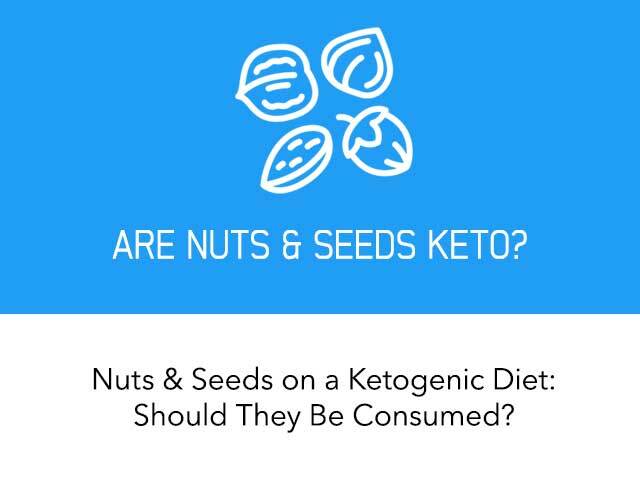 Although there&apos;s no denying that certain plant foods don&apos;t belong in a keto diet, there are many others that can and should be enjoyed on a regular basis, such as nuts and seeds. Nuts and seeds are similar foods that originate as different parts of a plant. Nuts are technically classified as fruits, although they are neither soft nor sweet. Their hard outer shell needs to be cracked open to release the seed-containing fruit inside. With the exception of walnuts, nuts are high in heart-healthy monounsaturated fatty acids (MUFAs). By contrast, seeds are actually embryonic plants. Although most seeds need to be removed from their outer shells or husks before being eaten, some can be consumed directly from the plant, such as sesame seeds. Unlike most nuts, seeds tend to be high in polyunsaturated fatty acids (PUFAs). Both nuts and seeds are lower in carbs than many plants, such as fruits, grains, and some vegetables. Additionally, they are rich in fiber and several vitamins and minerals, including B vitamins, vitamin E, magnesium, potassium and selenium. How Do Nuts and Seeds Affect Blood Sugar and Ketosis? Nuts and seeds provide low to moderate amounts of carbohydrates, depending on the type. Total carb counts per ounce (28 grams) range from a low of 3.5 grams for Brazil nuts to a high of 12.6 grams for chia seeds. However, in many cases, more than half of these carbs are fiber, which does not increase blood sugar or jeopardize ketosis. Unlike carbs, fiber isn&apos;t digested and absorbed in your small intestine because of the way its bonds are arranged. Humans lack the enzymes that break fiber&apos;s bonds and allow it to be absorbed. Instead, fiber passes through your small intestine and enters your colon. Once there, its fate depends on whether it is soluble or insoluble fiber. Insoluble fiber simply passes through your colon and helps to bulk up your stool. Therefore, it provides no calories at all. About 70-75% of the fiber in nuts and seed is insoluble. Soluble fiber dissolves in water and forms a gel that slows down the movement of food through your digestive tract, which can help you feel full. Once soluble fiber arrives in the colon, it is used as a food source by your gut bacteria and fermented into short-chain fatty acids (SCFAs), including butyrate, acetate and propionate (1). These SCFAs provide about 1-2 calories per gram of soluble fiber, depending on the type of fiber (2). By contrast, one gram of digestible carb provides 4 calories. Even though the fermentation of soluble fiber to SCFAs provides your body with a few calories, it doesn&apos;t raise blood glucose levels. In fact, research suggests that it may improve blood sugar regulation. SCFAs are mainly used to keep your gut healthy, but they can also have beneficial effects in other organs and tissues. Butyrate has been shown to enhance fat burning, acetate helps control appetite, and propionate can be used for gluconeogenesis (literally “making new glucose”) in the liver and intestine (1, 2). Does Soluble Fibre Raise Blood Sugar? Propionate&apos;s role in gluconeogenesis may sound concerning. However, propionate only accounts for about 20% of all SCFAs (3). Also, keep in mind that only 25-30% of fiber is soluble and capable of being fermented to SCFAs. Therefore, any increase in blood sugar related to propionate would be minimal. Moreover, recent research suggests that intestinal gluconeogenesis actually improves blood sugar disposal, leading to better blood sugar regulation (4, 5). Although the exact mechanisms are complex, the evidence to date suggests that these SCFAs may help control blood sugar, increase insulin sensitivity and reduce metabolic risk factors. (1, 2, 6). Finally, a large body of research confirms that fiber can help decrease food intake and reduce the amount of calories you absorb from mixed meals (7, 8). For more information about total carbs and net carbs, check out this post: Total Carbs or Net Carbs: What Really Counts? Are Nuts and Seeds Suitable for Weight Loss? Nuts and seeds are considered a high-calorie food. Indeed, most contain about 160-210 calories per ounce (28 grams). Interestingly, studies on almonds, walnuts and pistachios have shown that not all of their calories are absorbed because a portion of fat stays trapped within the nut&apos;s fibrous wall during digestion (9, 10, 11). For instance, although the nutrition facts label on a package of walnuts indicates that a 1-oz (28-gram) serving has 185 calories, researchers have shown that only about 146 of these calories are absorbed by your body (11). Although similar studies haven&apos;t been conducted on other nuts, it&apos;s possible that a portion of their calories may not be absorbed either. On the other hand, nuts and seeds can be extremely easy to overeat, especially when consumed straight from the container or bag. It&apos;s best to portion them out and limit yourself to one or two servings per day if you&apos;re trying to lose weight. Below are the carb profiles of different nuts and seeds, along with their key nutrients and potential health benefits. All nutrition information is based on a 1-ounce (28-gram) serving. Key Nutrients: Almonds provide 37% of the RDI (Recommended Dietary Allowance) for vitamin E.
Potential Health Benefits: Improvement in heart health markers. In one study, people with elevated cholesterol who consumed 36-72 grams (1-2.5 ounces) of almonds every day experienced a decrease in oxidized LDL cholesterol, a major heart disease risk factor (12). 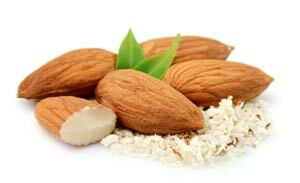 Interesting fact: Of all nuts and seeds, almonds are the highest in protein (6 grams of protein per serving). 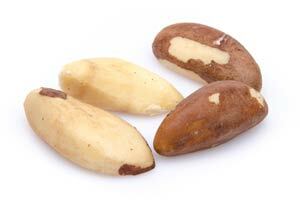 Key Nutrient: Brazil nuts are extremely high in selenium. In fact, one Brazil nut provides more than 130% of your daily requirement for selenium, a mineral involved in maintaining healthy thyroid function, among other things. However, in order to avoid potentially toxic levels of selenium, it&apos;s best to limit your intake to a few Brazil nuts per day. Potential Health Benefits: Reduction in inflammation. Studies have shown that Brazil nuts decrease inflammatory markers in the blood and protect cells from unstable molecules called free radicals (13, 14). Key Nutrient: Among nuts, cashews are the highest in copper, providing 31% of the RDI per serving. On the other hand, they also have the most net carbs. Potential Health Benefits: Lower cholesterol levels. A recent study found that LDL cholesterol was modestly reduced in people who consumed 28-64 grams (1-2 ounces) of cashews daily (15). 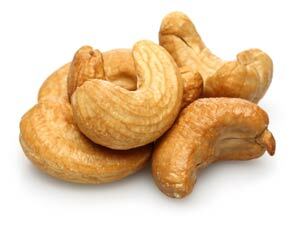 Interesting fact: Cashews have the highest amount of net carbs and should be used sparingly when following a low-carb diet. Key Nutrient: One serving of hazelnuts contains nearly a quarter of your daily requirement for vitamin E.
Potential Health Benefits: Improvements in lipid profile. 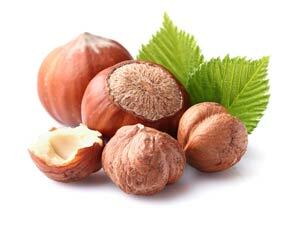 In one study, people with mildly elevated cholesterol consumed 30 grams (1 ounce) of hazelnuts for 4 weeks. By the end of the study, they had significant reductions in total cholesterol and cholesterol: HDL ratio. In addition, they experienced a significant decrease in apo-B, reflecting a reduction in their LDL particle number (16). Key Nutrient: Macadamia nuts are higher in monounsaturated fat (MUFA) than any other nut, in addition to being the highest in fat overall. 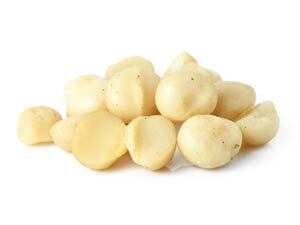 In fact, 78% of the fat in macadamia nuts consists of heart-healthy monounsaturated fatty acids. Potential Health Benefits: Higher HDL and lower LDL. In a 4-week study of men with elevated cholesterol, consuming 40-90 grams (1.5-3 ounces) of macadamia nuts per day led to an 8% increase in HDL cholesterol and a 5% decrease in LDL cholesterol (17). 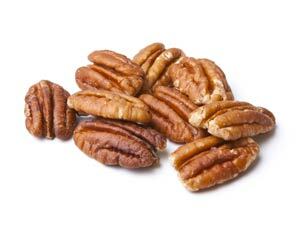 Key Nutrients: Pecans are a good source of zinc, providing one third of the RDI for this mineral. Moreover, they are the nut lowest in net carbs. Potential Health Benefits: Antioxidant protection. A study in 16 healthy men and women found that consuming 90 grams (3 ounces) of pecans led to a decrease in oxidized LDL and increased antioxidant levels in the blood for several hours (18). Interesting fact: Of all nuts, pecans are lowest in net carbs. 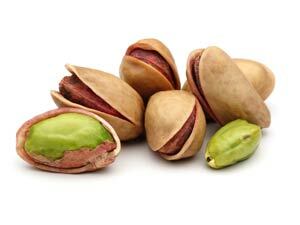 Key Nutrient: One serving of pistachios provides 24% of your daily requirement for vitamin B6. Potential Health Benefits: Improvement in blood sugar and lipid values. Studies in people with type 2 diabetes have found that pistachio intake ranging from 25-90 grams (1-3 ounces) per day helped reduce blood sugar, cholesterol and triglyceride levels (19, 20). 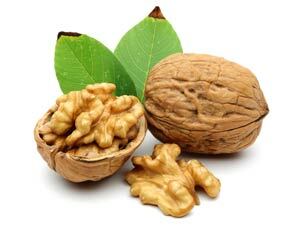 Key Nutrient: Walnuts contain more anti-inflammatory omega-3 fatty acids than any other nut. Potential Health Benefits: Improved artery function and lower LDL particles. Studies suggest that walnuts may protect the endothelial cells that line your arteries and reduce LDL cholesterol and LDL particles (21, 22, 23). Interesting fact: Of all nuts, walnuts contain the highest levels of anti-inflammatory omega-3 fats. As in the nuts section above, all nutrition information for seeds is based on a 1-ounce (28-gram) serving. 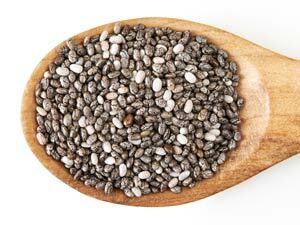 Key Nutrients: Chia seeds are very high in fiber and rich in omega-3 PUFAs, which are considered anti-inflammatory. Chia seeds are also a good source of calcium. One serving provides 18% of the RDI for this mineral. Potential Health Benefits: Lower blood sugar and improved satiety. In a 12-week study of 11 healthy people, consuming 7-24 grams (0.25-1 gram) of chia seeds daily resulted in lower post-meal blood sugar levels and greater satiety for up to 2 hours after eating. Moreover, the greatest effects were seen with the highest dosage of chia seeds (24). Interesting fact: Of all nuts and seeds, chia seeds contain the highest levels of fibre. Key Nutrients: Flaxseed is the best source of lignans, a type of fiber that&apos;s been credited with many beneficial effects on health. It is also high in and omega-3 fatty acids and very low in net carbs. Click here to read more about health benefits of flax seeds and potential concerns. Potential Health Benefits: Improvements in blood sugar and insulin regulation. Studies in older overweight and pre-diabetic women have found that taking 10-13 grams of flaxseed daily helped lower blood sugar, improve insulin resistance and boost weight loss (25, 26). 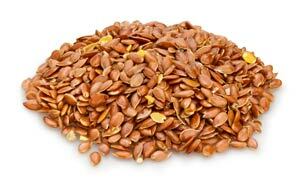 Interesting facts: Of all nuts and seeds, flaxseed is the lowest in net carbs. Also, contrary to common beliefs that flaxseed can cause cancer, it has been shown to have beneficial and cancer-protective properties. 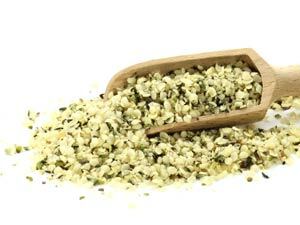 Key Nutrient: Hemp seeds are rich in gamma-linoleic acid, an essential fatty acid, and magnesium. One serving provides 75% of your daily magnesium needs. Potential Health Benefits: Reduction of heart disease risk factors. Although high-quality research on hemp seed in humans is lacking, animal studies suggest it can lower blood pressure and protect heart health (27, 28). Key Nutrients: One serving of pumpkin seeds provides 23% of the RDI for iron and 37% of the RDI for magnesium. Potential Health Benefits: Reduction in blood sugar levels and inflammation. A 12-week study in people with advanced kidney disease reported significant reductions in triglycerides, blood sugar, insulin and inflammatory markers in those who took 30 grams (1 ounce) of a mixture of pumpkin and other seeds every day (29). 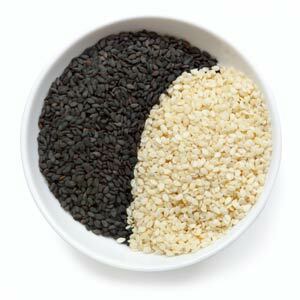 Key Nutrients: Sesame seeds provide 27% of your daily calcium needs and 25% of your daily magnesium needs per serving. Potential Health Benefits: Lower LDL cholesterol and antioxidant protection. In one study, people with elevated cholesterol who ate 40 grams (1.5 ounces) of sesame seeds daily for 60 days experienced significant decreases in LDL cholesterol and free radical cell damage, along with an increase in antioxidant activity (30). 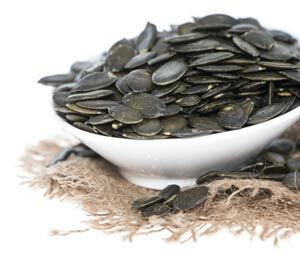 Key Nutrient: Sunflower seeds are an excellent source of vitamin E. In fact, one serving contains nearly half of the RDI for this vitamin. Potential Health Benefits: Improvement in lipid profile. 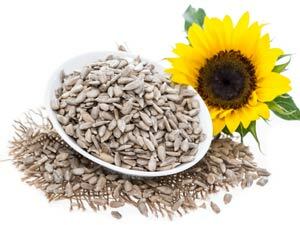 In a study of postmenopausal women with diabetes, a daily serving of 30 grams (1 ounce) of sunflower seeds for 3 weeks led to significant decreases in cholesterol and triglyceride levels (31). 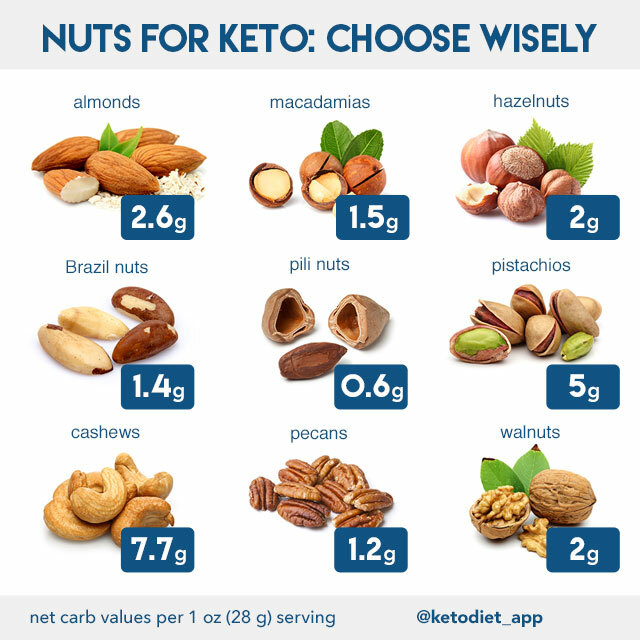 Which Nuts and Seeds Are Best on a Ketogenic Diet? Although all nuts and seeds are healthy, some are more appropriate for a keto or very-low-carb lifestyle than others. Below are the best ones to include in your diet on a regular basis. Nuts and seeds can definitely be part of a well-balanced keto or low-carb diet. Overall, they are high in healthy fat, low to moderate in protein and rich in several nutrients. In addition, most are low in net carbs and high in fiber, including soluble fiber. Studies suggest that consuming soluble fiber helps lower blood sugar, aids in weight management, promotes gut health and provides other benefits. Nuts and seeds are also portable, versatile, delicious, and satisfying. Consume nuts and seeds in moderation if your goal is to lose weight. It&apos;s worth a second mention that although we don&apos;t absorb all of the calories in nuts, we still get a fair amount. In large quantities, nuts can certainly slow down weight loss and perhaps even lead to weight gain. However, most types of nuts and seeds are great for keto diets when consumed in moderation. If you&apos;ve been avoiding them because you feel they&apos;re too high in carbs, consider adding them back in. They may just improve your health and make your keto lifestyle even more enjoyable. I bought some pumpkin seeds with shells and was looking at them thinking that I hadn't thought out whether these were a good idea to eat. So I headed for the internet with a little apprehension. Thanks for the well-written, scientifically supported article. 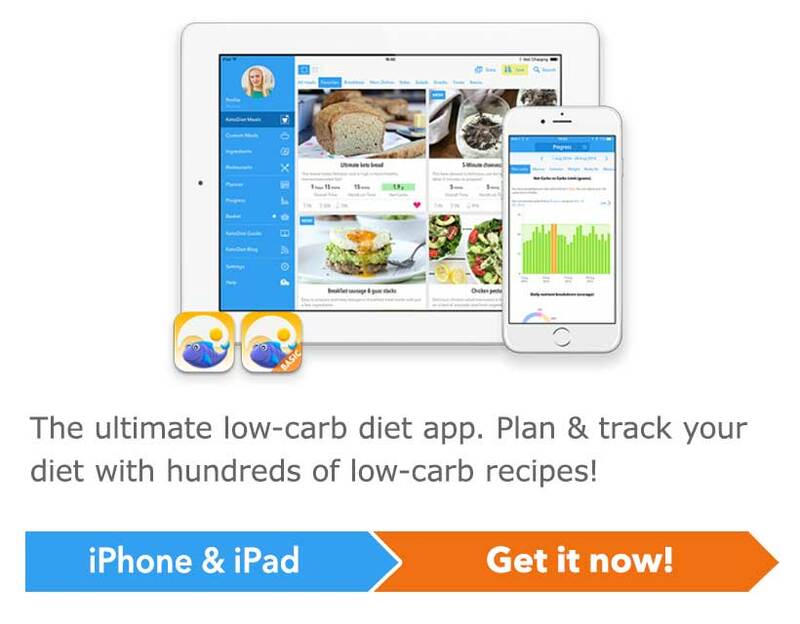 So much of what I read about keto/low carb diets is full of non-scientific gobbledygook. On the other hand, I'm going to bookmark this one for future reference. 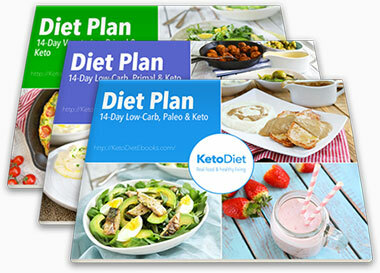 I have been on a Keto diet for a little over 2 weeks now. I am still getting tingly sensations and minor headaches, though I believe that will dissipate once I'm fully adjusted in another 2-4 weeks. I started running again and am pushing it pretty hard, so I'm sure that's contributing. It feels like when I used to starve myself for wrestling and I get a sense that my blood sugar is low. I have added hemp hearts (about 6 tablespoons per day) to help combat because I read more magnesium can help. I am 6'3" 210lbs and have been eating about 4-6 tablespoons of chia per day. Do you think that's too much? I am adding flax seeds tomorrow and will replace 2 tablespoons of chia with 2 tablespoons of flax. And don't forget about sodium. Other than adding it to meals, some of the good sources are sauerkraut and bone broth. I follow a keto lifestyle and just added “noatmeal” to hopefully keep me regular. The recipe I’m using calls for 3tablespoons of hemp hearts, 2tsp of chia seeds, a little shredded coconut and almonds and a little almond milk. Can i have this daily? Or would that be too much? I’ve been seeing conflicting information on the web. Great article. Concisely put together and chuck-ful of interesting facts. 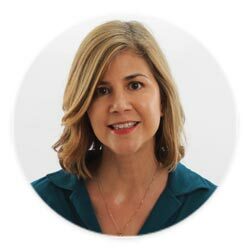 I had concerns with my Chia consumption while trying to get into ketosis. What a help... Thank you . Great article, thanks for the information which I will put to good use. I am on a keto diet and in India, where I belong, rice is a staple food. The craving for rice is terrible. Barely anyone ends their meal with Dal-Rice. I was wondering if Samo seeds (Echinochloa Frumentacea) can be a substitute for rice. Dear Franziska, thank you for this very detailed article! I'd like to ask you: The recomended daily intake of fibre means soluble and insoluble fibre together? Thanks for the nice feedback on my article and your question. Wow, Franziska, what a great article! You covered so many important points in a very clear and concise way. Thanks! Are millet and quinoa also considered seeds? In very small amounts wouldn't they be beneficial for the microbiome? This is a great article!! I love pecans, walnuts, macadamia and Brazil nuts. Moderation is definitely the key. I don't think I could ever cut them out completely, and so glad this article backs up my thoughts about them. It's also nice to hear a good word about flax! For a few months now I've read nothing but bad about it and though I have some I've avoided using it. Now I think I will start adding it back in! Thanks for all this research!! I think that there's been a lot of misinformation about nuts, seeds and their place in a healthy low carb diet. It was time to bust the myths! I know peanuts are actually legumes, but are they suitable for a ketogenic or LCHF diet? Also, what about nut butters, specifically peanut and almond. Are these suitable, as well? Hi Barbara, technically, they are keto-friendly but it depends on the approach you are following (see my comment below). When it comes to nut and seed butters (unsweetened), they are all suitable. Hi Sean, peanuts are legumes. Firstly, although they are relatively low in carbs, peanuts contain lectins and phytates which makes them hard to digest. Also, legumes in general have been linked to leaky gut syndrome, PCOS, IBS and Hashimoto's. Having said that, many people eat peanuts when following a keto diet and experience none of these issues. You have to try what works best for you.